The Diamond Chapter March meeting will be held this Sunday, March 31, at Rod’s Pizza , 3350 central ave.
Be there at 1:30 to eat. Meeting will be around 2:00. We will be in the banquet room. Weather will 58 degrees. A little cool. Ride your motorcycle and bring a friend. Up coming events to talk about. The Combat vets put on a event at Trasco Trading Post Motorcycle Shop. Dyreck and I went. Trasco is past Herber Springs so it was a 270 mile round trip. Great ride. The Trading Post is quite interesting. Located in the middle of no where. They had lots of motorcycle stuff for sale. a repair shop and bikes for sale. Hot Dogs were served and proceeds went to help the Vets. A great place to ride to if you have the time. The meeting was held at Smoking In Style in Hot Springs with 17 members and guests attending. Susie Parker sold 50/50 tickets. Mike Thomson introduced the guests from DC Choppers in Hot Springs located on Hobson Street. Mike Parker presented trivia with Mike Thomson the winner. Elizabeth Plunkett read the January Minutes. Susie Parker gave the treasurer’s report. Greg Bright and Mike Thomson reported on the Abate swap meet and bike show. They handed out a lot of flyers for the club show. Club elections were announced by Mike Thomson. Club member Pat Jones had a February birthday. The March meeting may be hot dogs at Gulpha Gorge, weather permitting. Mike Thomson announced upcoming events. He also has the club bike listed on several websites for sale. Susie Parker drew the 50/50 and the winner was Alan McCalla. He generously donated it back to the club. April 5 – 10 Fandango Road Run and Swap meet. http://www.cherokeeamca.org for more info. Susie, myself and Russell and Elizabeth are going. April 11- 14 Diamond Don’s vintage MX. Jefferson , Texas diamonddons.com for more info. This is a great event and a nice ride. April 20 Norman, AR Spring fest and car show. May 3-5 Steel Horse Rally, Ft. Smith, steelhorserally.com for more info. May 18 AR Honor Ride Vets Benefit. Car and Bike Show. 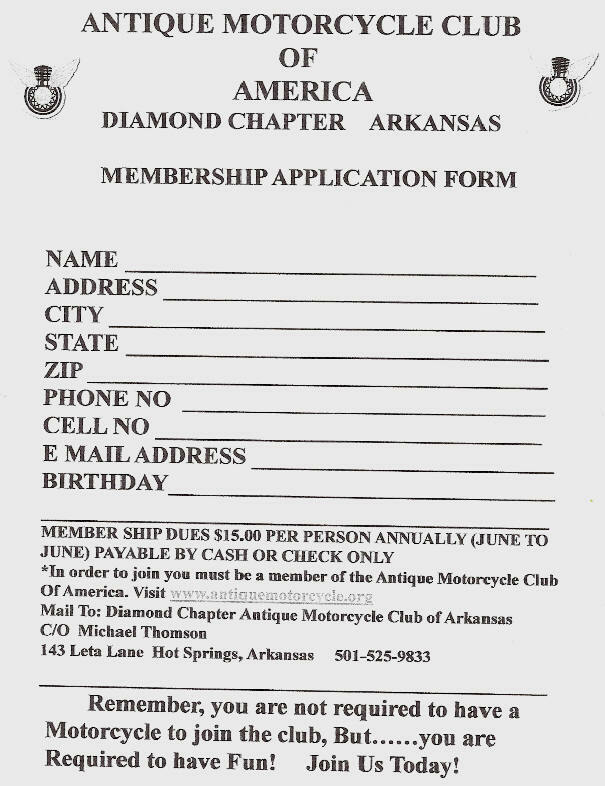 http://www.arkansashonorrode.org for more info. Hot Springs Mall. We need to display some bikes so think about it. June 14-16 Petit Jean Swap Meet. Let me know if you want to ride to this event. 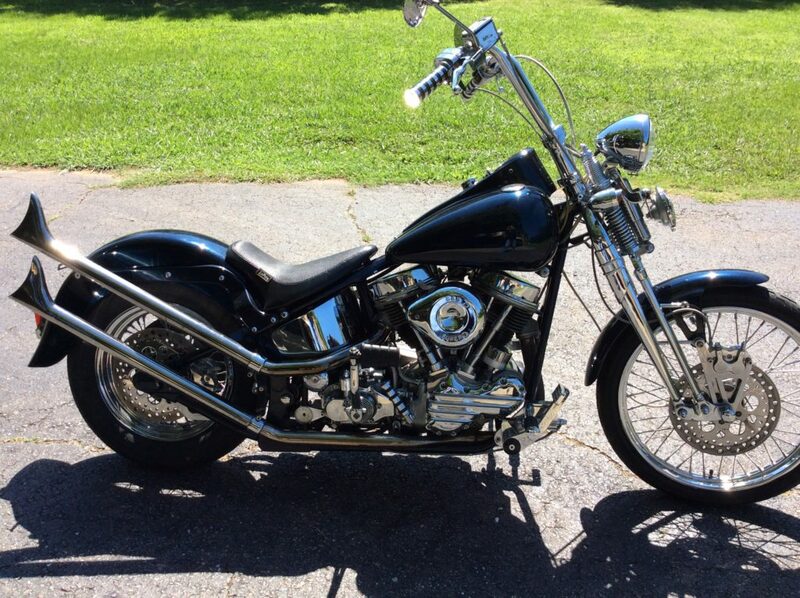 1996 HarleyDavidson Pan head custom.1996 Harley Pan Head Replica Soft Tail Custom. EVO motor , Pan Head Top End, J&B Custom Disc Brakes, Springer Front End,S&S Carburetor, 4 Speed Trans. 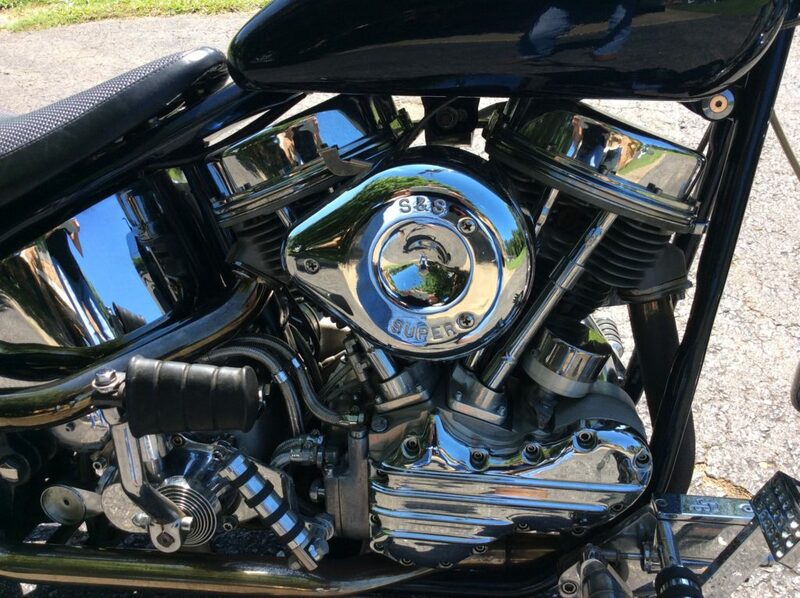 , Le Pera Seat, Electric and Kick Start, Fish Tail Mufflers ( Loud ) , Electronic Ignition, Paint needs some attention, 6897 miles ?, Belt Drive, Many more custom parts. To many to list. Have all paper work on custom work. Beautiful bike needs a new home. Over $15,000 to build. Asking $8500 . No reasonable offer refused. Contact Mike @ 501-525-9833 or 214-557-6012, for more info. Please do not text. . Bike is owned by the Diamond Chapter. It is riding season so lets organize some rides and have some fun. 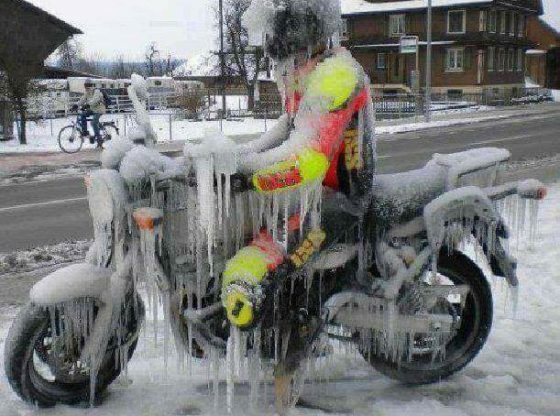 A few of us have been riding during the week. Let me know if you want go and will put on my list. let me know if you know of up coming events so i can get them in the newsletter. Ride Em, Don’t hide Em ! Hope to hear from Scott Byrd soon, about his Normandy Ride. Hope he shows up at the meeting. So glad winter is gone !!!! !